Piotr Kowalczyk posted graphs for Self-Published ebooks in The Kindle Store Top 100 Sellers List in his ebook friendly blog. 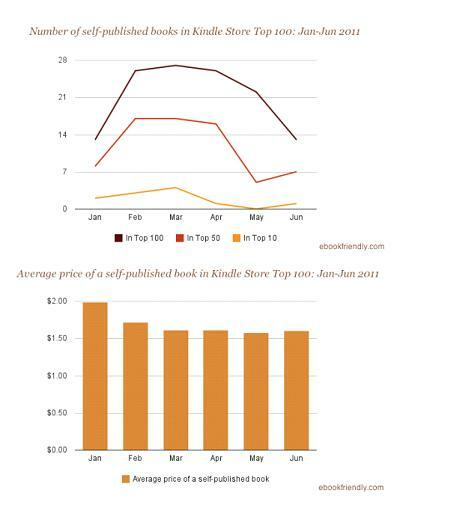 These charts speak for themselves- Self-Publishing eBooks is Working & Growing. 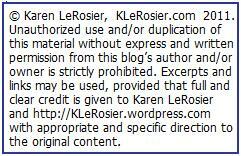 Self-Published eBooks let Readers decide which eBooks are good read–as it should be. Readers are the consumers, not Book Shelves. 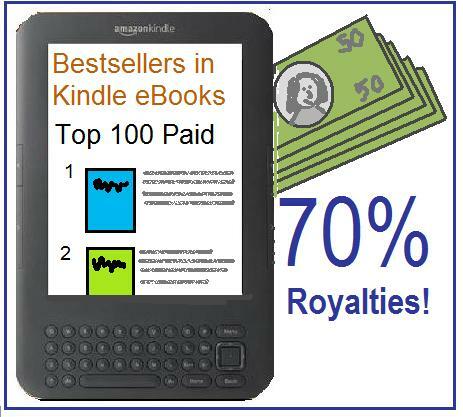 The average reader may not be aware that Authors who Self-Published on Amazon, and price their books between $9.99 and $2.99, get an unprecedented 70% of the selling price royalty. Books outside that range get 35%. Last spring, when Amanda Hocking showed the world that pricing an eBook for 99¢ can earn an Author more on sheer volume even at the lower percentage, 99¢ eBooks became common. (I don’t know what % royalty the big publishers give Authors for eBooks. One author reported royalties of 20% and the agents fees still has to come out of that. He told them to keep it and self published. I’ve read reports of Printed Book royalties between 15% to 7%–most on to the lower end. Here are the graphs from ebook friendly. Kowalczyk pointed out that last July (2010) not one self-published book was in the top 100, nor were any books priced 99¢. Data collected between June 30th and July 5th, 2011, from Kindle Store’s Bestsellers Archive. Click on months for detailed monthly tables.